Samples of product made with our proprietary process. DO YOU KNOW SOMEONE WITH A U.S. PATENT? YES YOU DO! 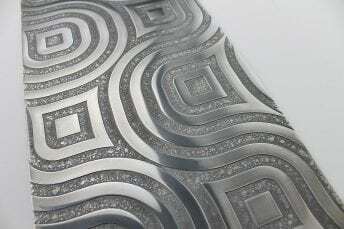 We finally own the rights to our proprietary process that allows us to custom etch metal surfaces and then further process the artwork with pigmented inks, polishing, plastic, or other protective coatings resulting in patterns and varying 3D densities. Think sculpture on your walls! We are so proud of this achievement. And you’ll love what we can do for your space, the applications are endless.